SANGKRIT.net is not only more global than most popular BI media bbc.co.uk but a lot more global than AI media huffingtonpost.com also. BI denotes the helpless ages of humanity before the Internet while AI denotes the empowering times of humanity after the Internet. More than 60% of total traffic to domain of BBC is just from UK and USA while more than 67.3% of total traffic to domain of Huffington Post is only from USA but the situation is quite different at the domain of SANGKRIT.net, where traffic is almost evenly coming from more than 159 countries. 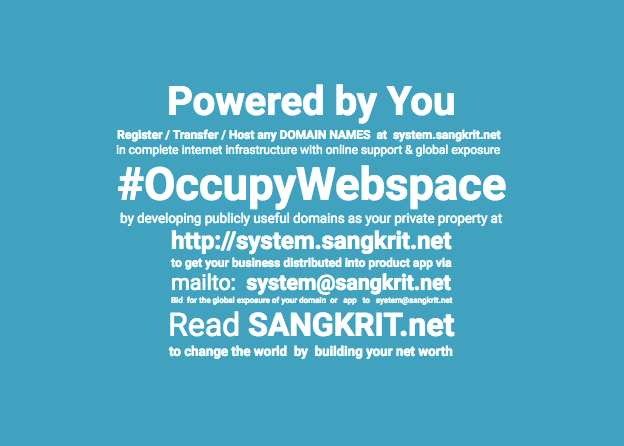 By all considerations today SANGKRIT.net is the most global media in this world.